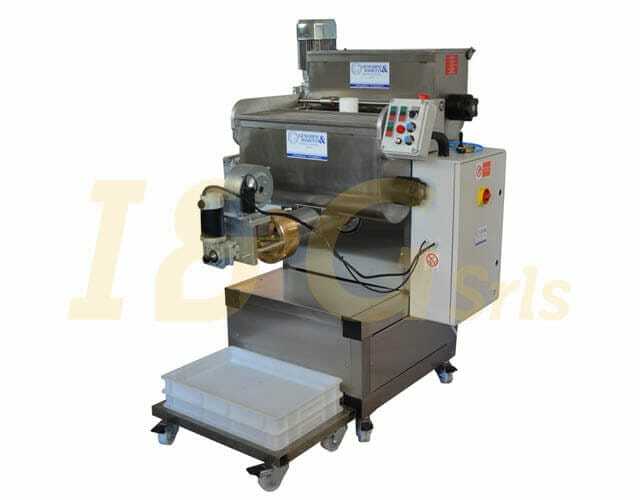 IP150 medium-big press is a pasta maker suitable for a large production. 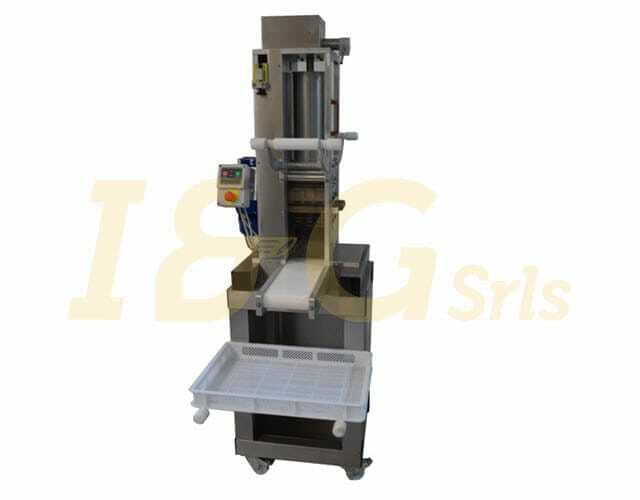 IP150 medium-big press is a pasta maker suitable for a medium-large production. 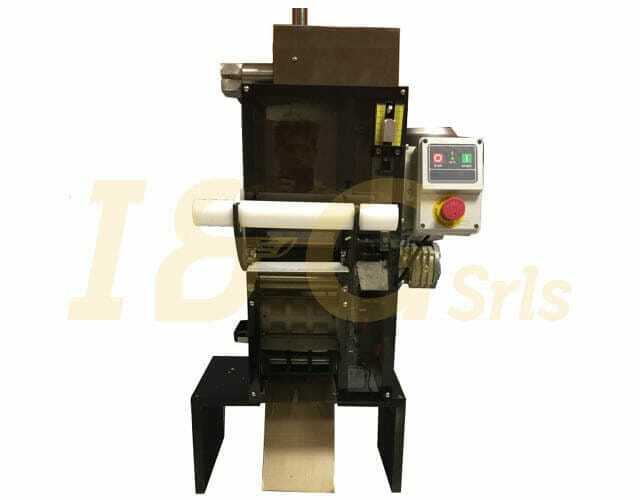 This press is one that can make a difference for its extraordinary ability to work with different degrees of humidity; it can be combined with automatic cutters, nidiatrici, tortellinatrici, cappellettatrici. 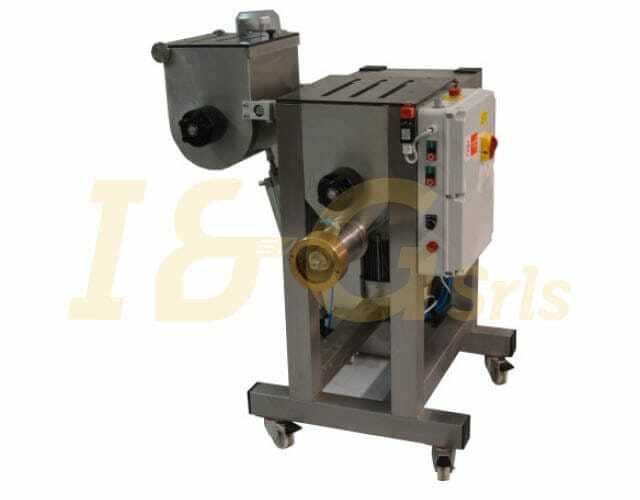 IP150 medium-big is a machine that makes all kinds of pasta: fresh, dry, with or without eggs and gluten-free. It also makes puff pastry of any thickness. This model is equipped with a double tank – one of which is capsizable – which allows the manufacturing to be quicker. Some models, like this one, come with an electric fan to allow a pre-dehydration of the pasta. It’s also equipped with an electronic cutter with variable speediness. IP1150’s shafts are removable, to make the cleaning quick and fast. Power source is 380 Volts, 50 Hz. Special voltages on request.